David began his career at GE in 2000 within the Corporate Initiatives Group, responsible for driving the Service and Commercial Initiatives of GE across the European Businesses. 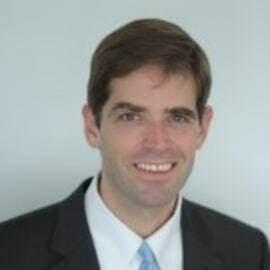 He then joined GE Healthcare and has held several roles including VP Six Sigma International, (2003), Director of Services for France (2005), General Manager Computed Tomography International (2008) and VP Service Sales & Marketing EMEA role (2009) VP Performance Solutions Global (2011), SVP & GM GE Healthcare IT for US and Canada (2013). Since July 2015, David has stepped into his current role as Global SVP & GM GE Healthcare IT for Enterprise Imaging and Care Delivery Management. Prior to joining GE, David held roles in Project Management with the Boston Consulting Group, and Product & Services Management roles with Milliken Textiles, Eastman Kodak and Ascom. David has a degree in Industrial and Systems Engineering from the Georgia Institute of Technology and an MBA from the Institute of Management Development (IMD), Switzerland. He is also a certified Black Belt and Quality Leader. David was born in Tennessee (USA) and has dual American and French nationalities. After 25 years in Europe, David relocated to the United States in 2013 and currently resides with his wife and 2 children in Chicago, Illinois.